We have thermometers for home brewers and wine thermometers that make great gifts wine lovers and connoisseurs. Our range of wine and beer thermometers include wine thermometers and beer thermometers which can be used for wine making, beer making, home brewing, as well as wine thermometers for monitoring wine storage and serving temperatures. For the home brewer we offer beer thermometers and hydrometers. These instruments are vital in the production of homemade beer allowing the brewer to monitor temperatures and specific gravity during fermentation. These instruments are equally useful for use in homemade wine production. We do sell wine thermometers for storage and serving as well. We sell attractive wall thermometers specifically designed so show the correct serving temperatures for a range of wines. 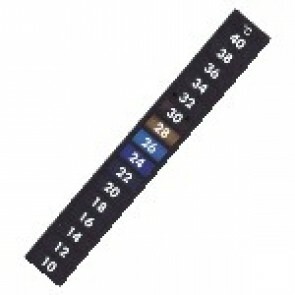 For instance our white wine wall thermometer has a scale which shows the recommended serving temperatures for a variety of white wines including Muscat, Tokaji and Champagne, whilst the red wine wall thermometer shows the recommended serving temperatures for red wines, including Shiraz, Bordeaux, Cabernet, Burgandy, Rioja, Pinot Noir, Chianti, Zinfandel, Maderia, Rose and Beaujolais. Both of these wine thermometers can also be used in wine cellars and storage areas. We also sell a wine thermometer that doubles as a wine stopper! A perfect novelty gift for any wine lover!